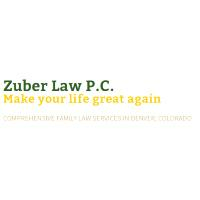 Zuber Law P.C. represents clients in the area of family law, focusing on the legal issues surrounding divorce, separation, child custody, visitation, child support, alimony/maintenance, and related matters. Family law deals with important and personal issues that can have far-reaching financial and emotional implications. This is a very specialized area of law, requiring extensive education and experience in negotiation and litigation skills, asset valuation, tax analysis, and child custody/ support issues. If you're facing the uncertainties of a divorce, you need an attorney who is attentive to your individual needs. At Zuber Law P.C., we listen and respond to your special concerns with sound legal advice and aggressive representation in all areas of family law. We work with you to help you make the right decisions regarding to these complex issues.